4994 Adenium 7th Paradise, Grafted ? Very impressive variety with 7 layers of petals! 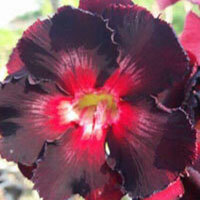 Flower is dark red with multi-colored red-pink-black border. 5986 Adenium Amazing Thailand, Grafted ? 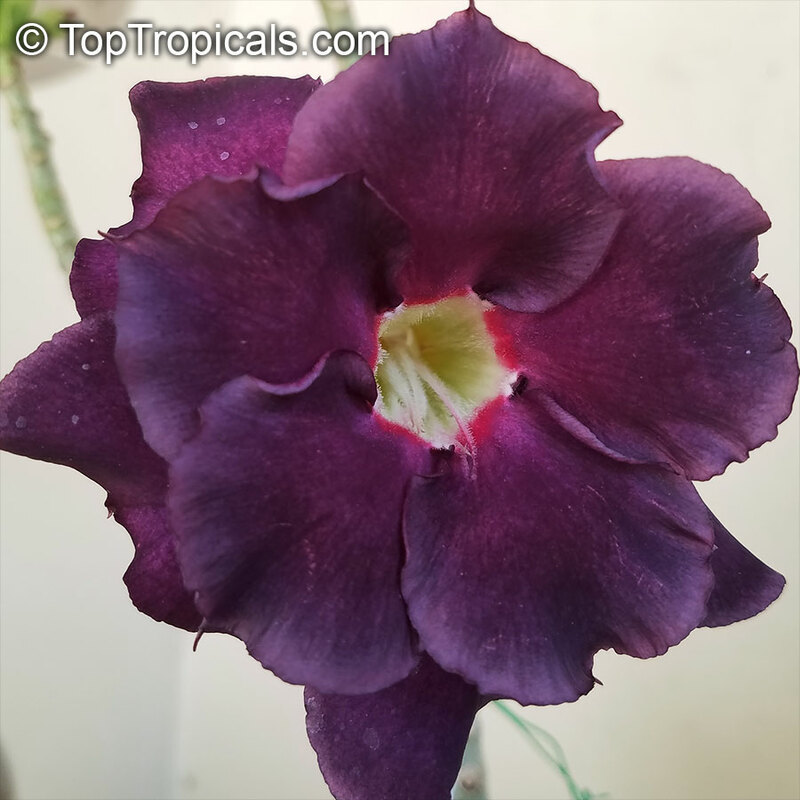 Deep pink double flower with darker margins. 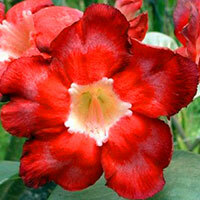 4580 Adenium Amazing Triple, Grafted ? 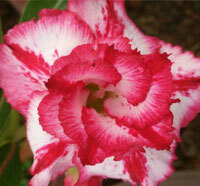 Rare Desert Rose hybrid with a double flower. 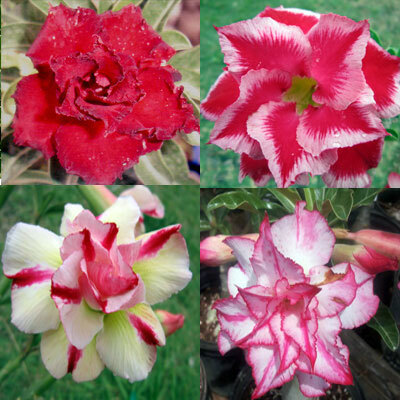 Variety with triple-color flower: white, pink, and red. 5702 Adenium Arrow, Grafted ? Exotic Desert Rose, new variety from Thailand. 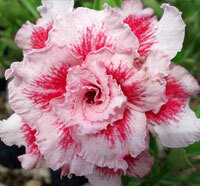 4565 Adenium Aung Kor, Grafted ? 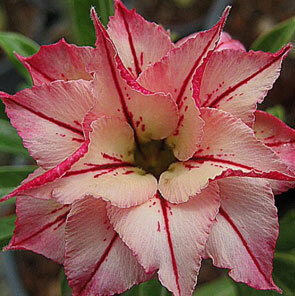 Exotic color of Desert Rose, one of the most beautiful color varieties - pink flower with red stripes. The plant is with caudex, blooming size. 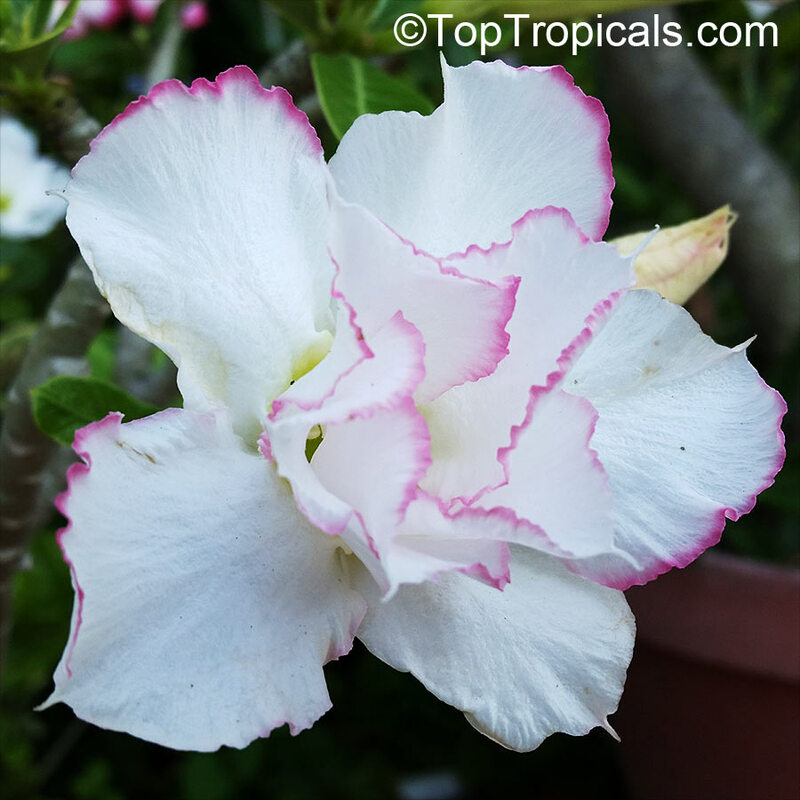 4647 Adenium Beauty Queen, Grafted ? New Desert Rose hybrid from Thailand with light pink flower with multiple layers of petals. 4645 Adenium Best of Siam, Grafted ? 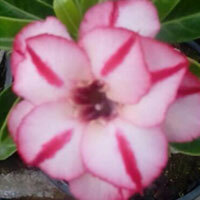 Desert Rose hybrid with a showy double flower which is off-white with stripes of pink and crimson. 5981 Adenium Big Harry, Grafted ? New variety from Thailand. Double flower, white center with crimson swirl, dots, and edges. 4572 Adenium Black Asia, Grafted ? 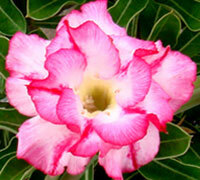 Exotic color of Desert Rose, one of the most beautiful color varieties. 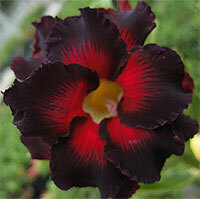 Deep-red, almost black flower. The plant is with caudex, blooming size. 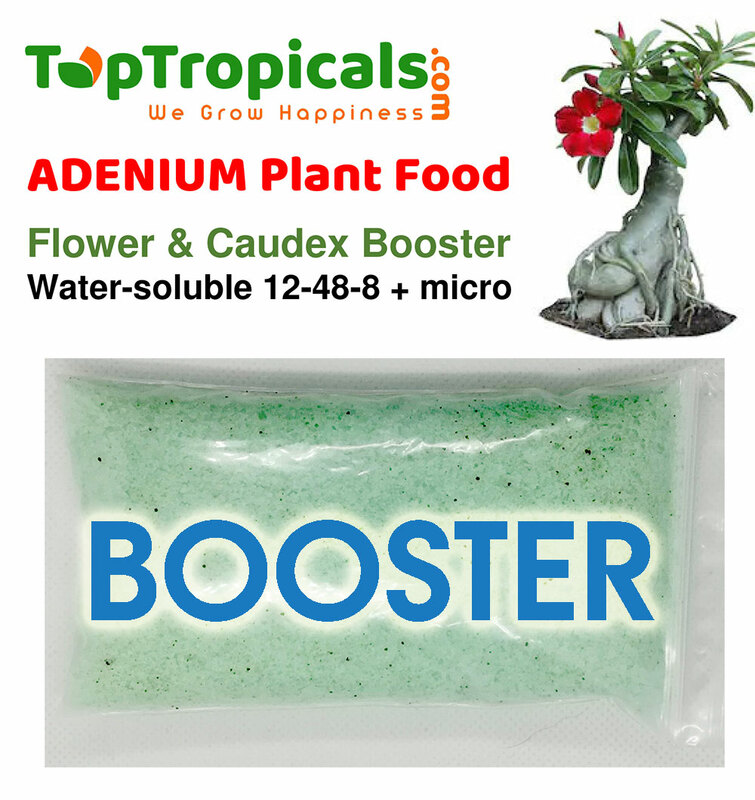 Black colored adeniums start as reddish color buds, flower opens as red-black and darkens as matures. 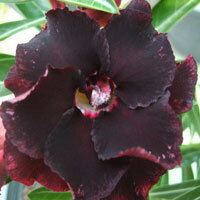 See picture of stages: darkening of black adenium flower. 5703 Adenium Black Balloon, Grafted ? 5982 Adenium Black Bird, Grafted ? New variety from Thailand. 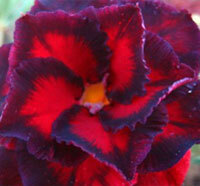 Double flower, bright red center and deep purple, almost black border. 5704 Adenium Black Border, Grafted ? 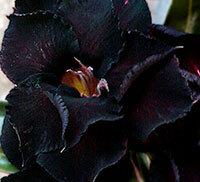 One of most interesting black flower varieties. 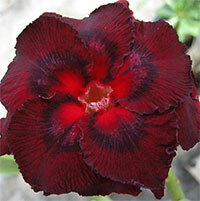 Deep dark red flower with bright coral center and almost black outside border. 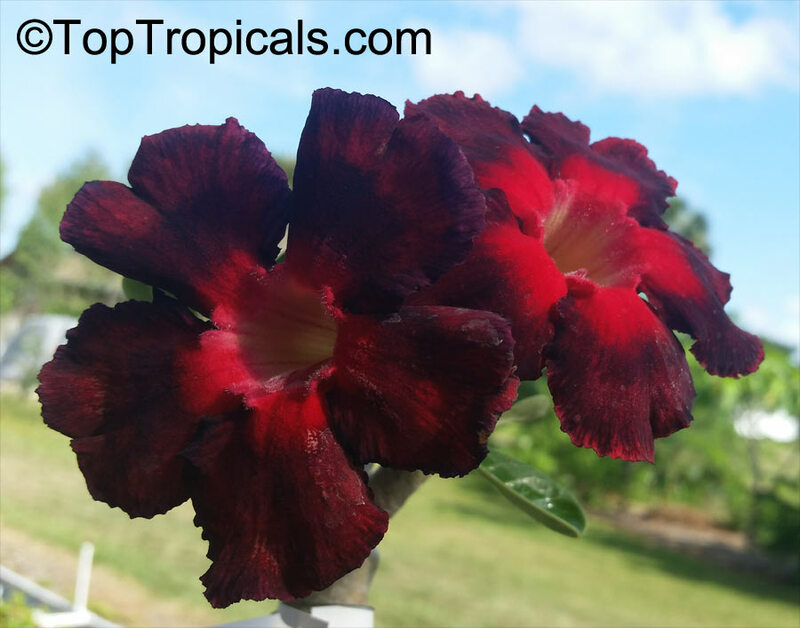 Colors change from red to dark red to black as the flower ages. 4579 Adenium Black Magic, Grafted ? 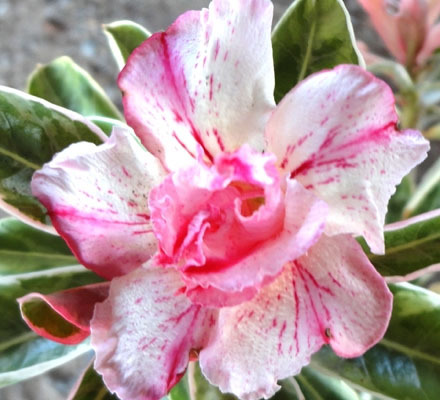 Rare Desert Rose hybrid with a double flower. 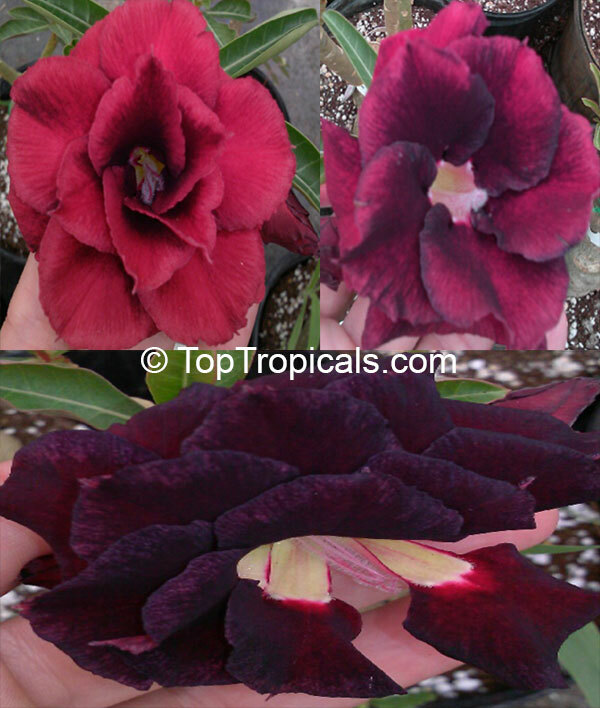 Variety with very deep red flower turning dark red, almost black. 5932 Adenium Black Mamba (Black Boy), Grafted ? 4973 Adenium Black Purple, Grafted ? 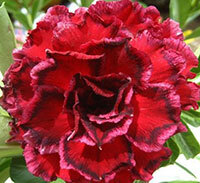 Puplish-red flowers, darkening with age. 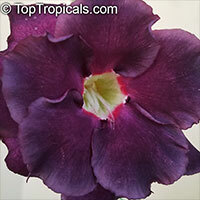 Black colored adeniums start as reddish color buds, flower opens as red and darkens as matures. 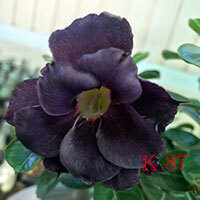 See picture of stages: darkening of black adenium flower. 5983 Adenium Black Rahu, Grafted ? New variety from Thailand. 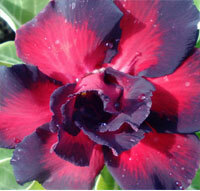 Double flower, crimson center and deep purple, almost black swirl, with wide border. 6057 Adenium Black Sheep, Grafted ? 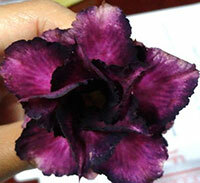 Exotic color of Desert Rose, almost black flower. The plant is with caudex, blooming size. 4971 Adenium Black Swan, Grafted ? 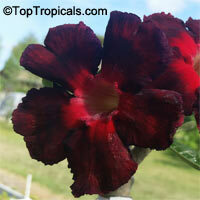 4972 Adenium Black Widow (Black Window), Grafted ? 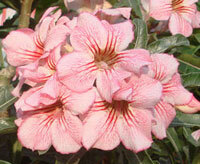 Seeds of exotic fancy variety of Desert Rose from Thailand. 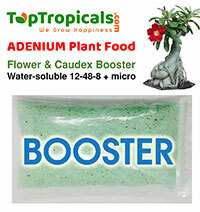 Plant seeds 1/2" deep in well drained soil, keep slightly moist but not soggy, in bright light and warmth (above 75F). 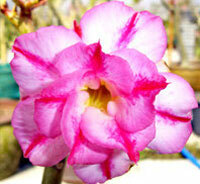 5984 Adenium Bo Tun, Grafted ? New variety from Thailand. This one is so pretty! Multi-layered flowers with crimson center and feathery snow white curly edges. 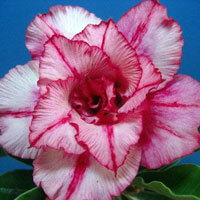 4655 Adenium Bua Sawan, Grafted ? New Desert Rose hybrid with a double flower, light pink with red stripe.